Charlene Wittstock's Armani gown worn for the religious ceremony took 2,500 hours to prepare as "kilometers" of platinum-coated thread was sewn into 430 yards of off-white silk. Charlene's broad swimming champion's shoulders bore the weight of 40,000 Swarovski crystals, 20,000 mother of pearl tear drops, and 30,000 golden stones. 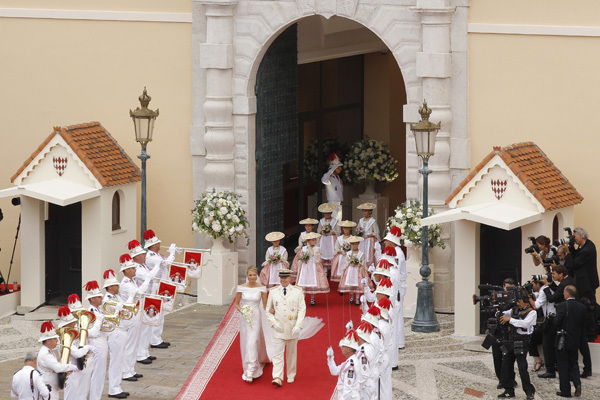 Princess Charlene's wedding gown had two trains. The skirt of the gown folded out to a shorter train, while the crossover neckline extended into a longer train on top. Princess Charlene chose a light veil of off white tulle that rested on her head from the back. Charlene anchored her wedding veil with an elaborate curving diamond hairpiece, possibly loaned by her new sister-in-law, Princess Caroline. 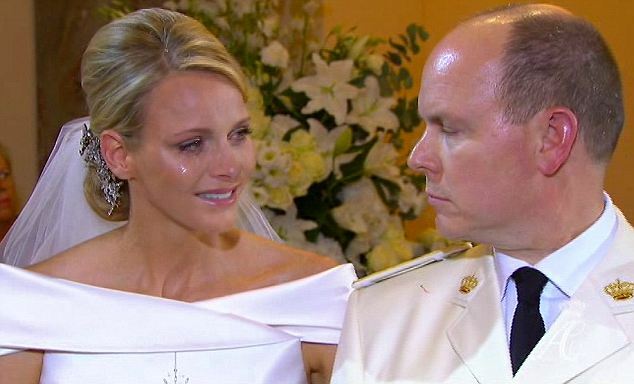 Readers: For more on Prince Albert and Princess Charlene here on Lisa’s History Room, click here. 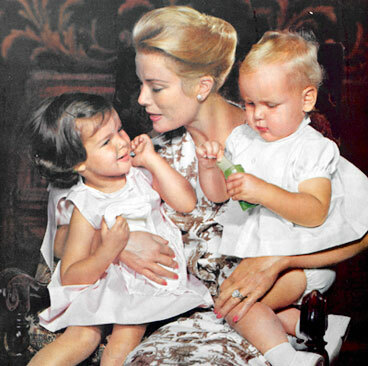 Readers: For stories about Princess Grace of Monaco on Lisa’s History Room, click here. Finally! Prince Albert of Monaco is Engaged! 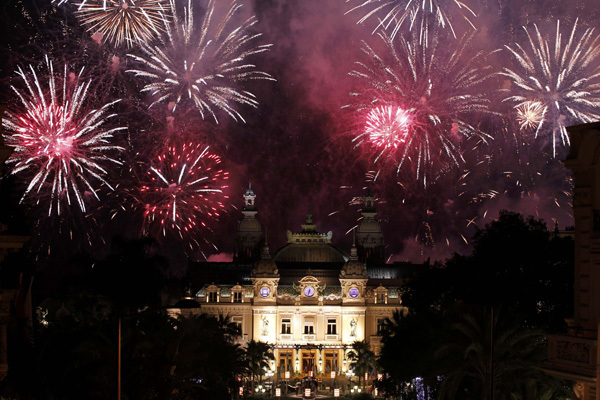 Prince Albert of Monaco is engaged to Charlene Wittstock, a former Olympic swimmer from South Africa. 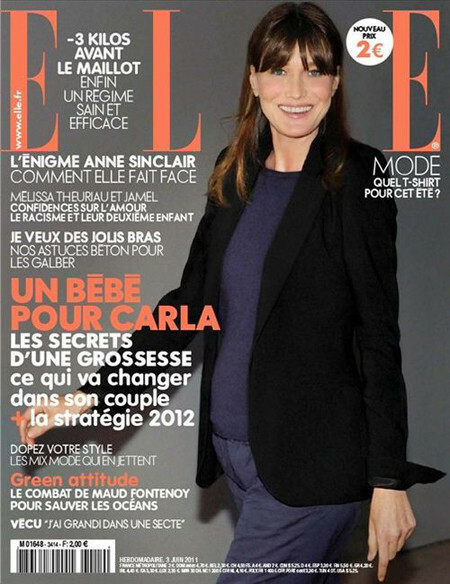 He is 52, she, 32. 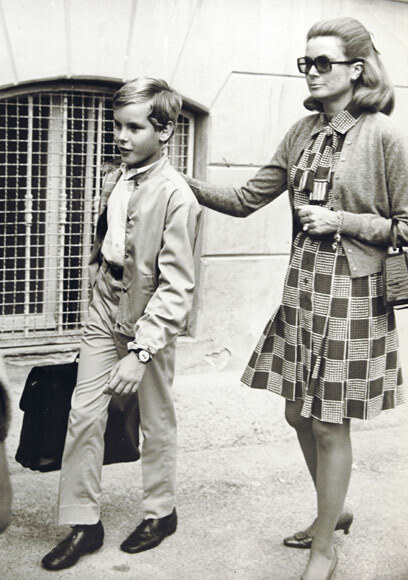 Ms. Wittstock will become the first crown princess since the 1982 death of Prince Albert’s mother, Princess Grace of Monaco. 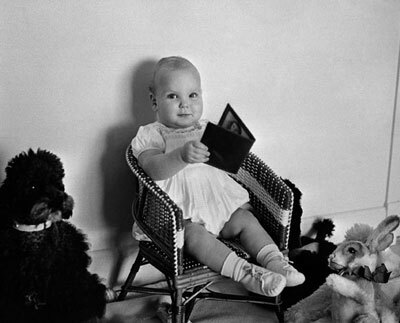 Princess Grace was the former American film star, Grace Patricia Kelly. 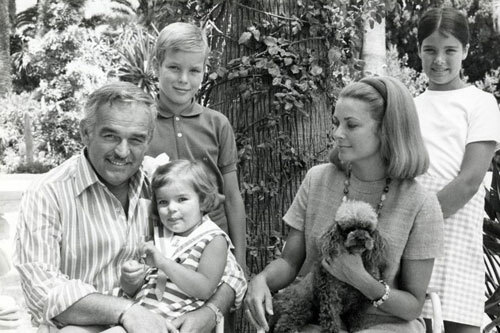 In this 1974 photo, Princess Grace of Monaco, center, poses with her husband, Prince Rainier III, and their three children. 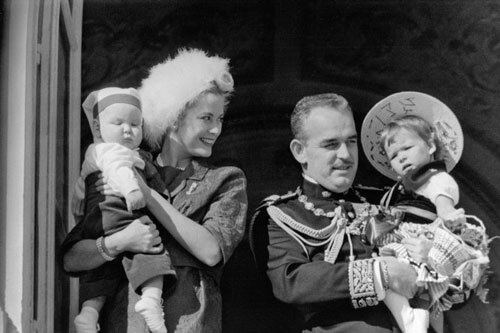 From left to right: Princess Caroline, Prince Albert, and Princess Stephanie. 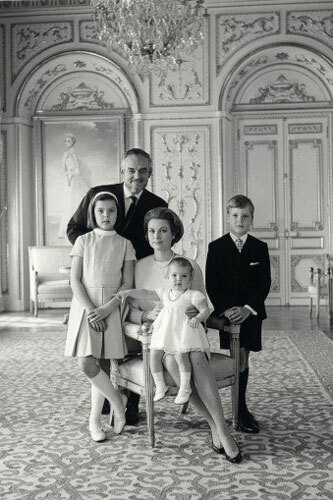 At the time, Princess Grace and Prince Rainier III were the reigning monarchs of the ancient royal House of Grimaldi. 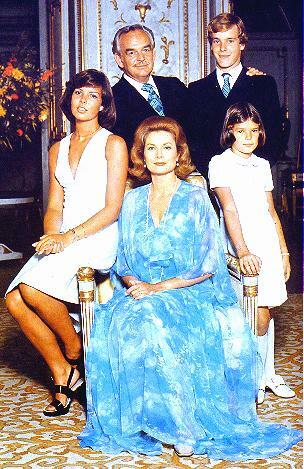 Both Princess Grace and Prince Rainier III are deceased. Today their son Prince Albert is the reigning prince. Pretty big deal considering Albert was a notorious bachelor, causing Parliament to change the constitution in 2002 to allow one of his sisters’ sons to take the throne if he doesn’t produce an heir! 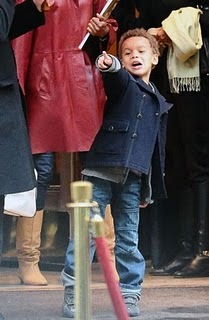 He does have two children, but they were born out of wedlock so they are not allowed to assume the throne. Palace protocol dictates that couples must wait at least six months between the announcement of the engagement and the wedding day. 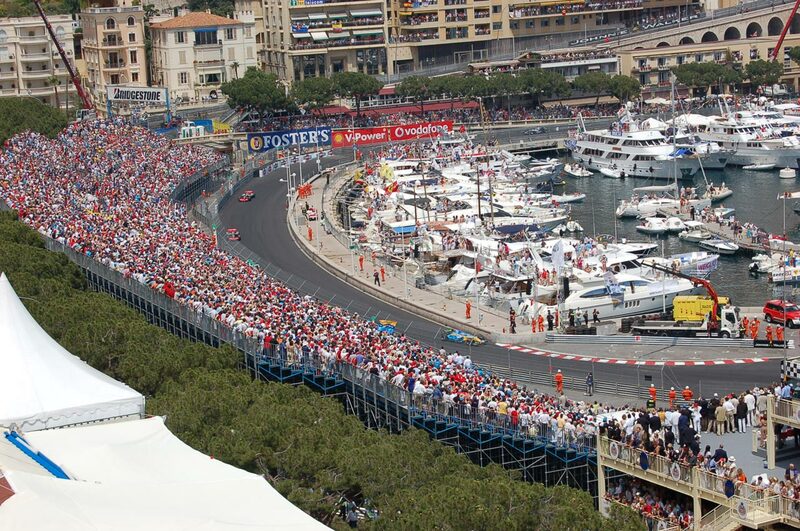 Expect a big “to-do” since this will be the first royal wedding of a reigning prince in Monaco since 1956 when Grace Kelly retired from filmmaking to wed Albert’s father, Prince Rainier III. 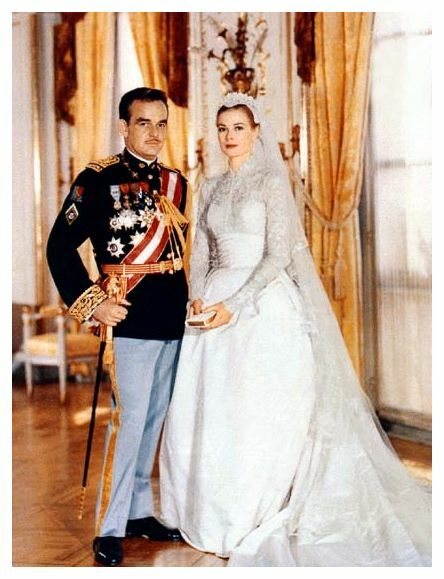 Prince Rainier III of Monaco weds American film star and fashion icon Grace Kelly. They wed twice; the civil ceremony was held on April 18, 1956, followed the next day by a religious one. 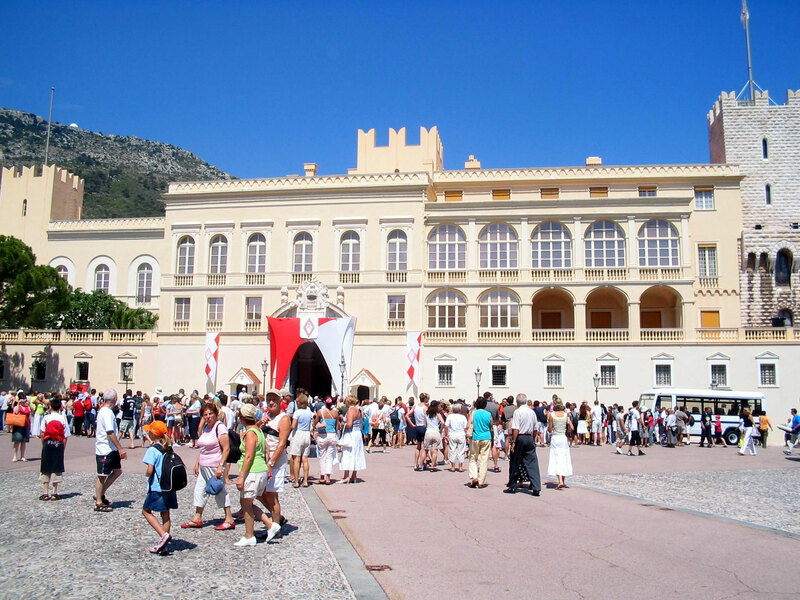 Her Serene Highness the Princess of Monaco, commonly referred to as "Princess Grace," retained both American and Monegasque citizenships. 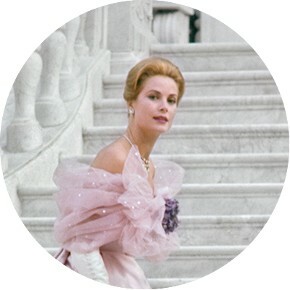 READERS: For more on Grace Kelly here on Lisa’s History Room, click here.